STEPS: Sustainable Thinking and Expression on Public Space is a collective of artists, activists, architects, and academics, promoting sustainable and community-centred public spaces. They use art to challenge and change the ways that public spaces are perceived and used in urban environments. They are developing a series of resources to facilitate knowledge exchange and collaboration between individuals and collectives using art to engage citizens in transforming their local environments, which they call Public Space ARTivism. Over the last few months they have been conducting interviews with community artists/activists to collect information on the successes, challenges and lessons learned in grassroots Public Space ARTivism across Canada. 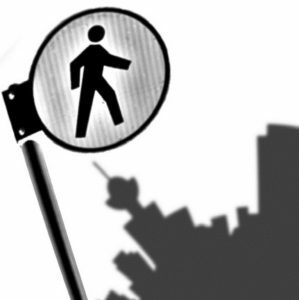 In July they interviewed me about Pedestrian City. This was a great opportunity for me to reflect on what I’ve done, why Pedestrian City is important to me, and what I want to accomplish with it.